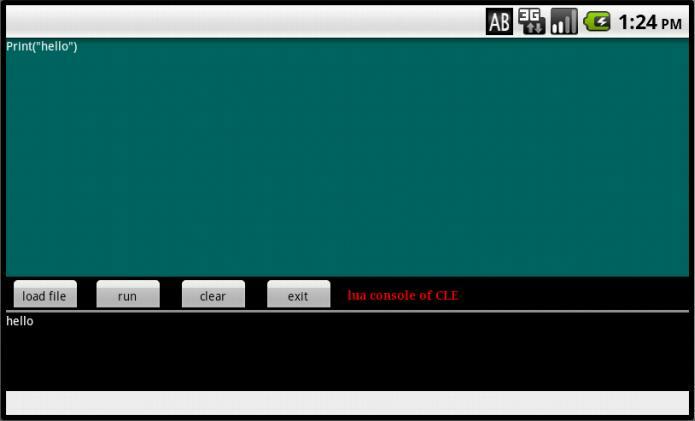 Common Language Extension for Android - CLE is a common extension platform, which presents a general method for mixed language calls. It supports distributed object technique, which objects as medium to implement the mixed call between languages. Object is presented as a structured memory with a list of function pointers. Mixed-language calls are done by means of mapping the structured memory and function pointers to different languages, CLE is only a share library, which does not impose any restrictions on specific language. It supports windows, linux, and android. For android version, CLE is complete free, and current version supports java in calling lua, c/c++, and python(need SL4A). CLE is very easy to use and greatly simplifies the programming for java with different other languages. With the help of CLE, programmers can write c/c++ share modules without any knowledge about JNI, can call lua or python and provide callback functions of java to these languages easily. CLE supports android versions 2.1/2.2/3.0/3.2/4.0. The install package includes a simple lua console. · Fix bug for java when assign large amounts of functions to object.